Delicious guacamole made fresh right at your table, scrumptious carnitas, and very spirited margaritas! Exquisite boutique featuring locally handmade items. Fun and flirty retro-style dresses. New Irish bar located strategically for a Barclays Center after party! Quaint little tea shop on St Mark’s Place with thirst-quenching iced hibiscus tea. Charming Mexican folk art shop on 3rd Street at 2nd Avenue. 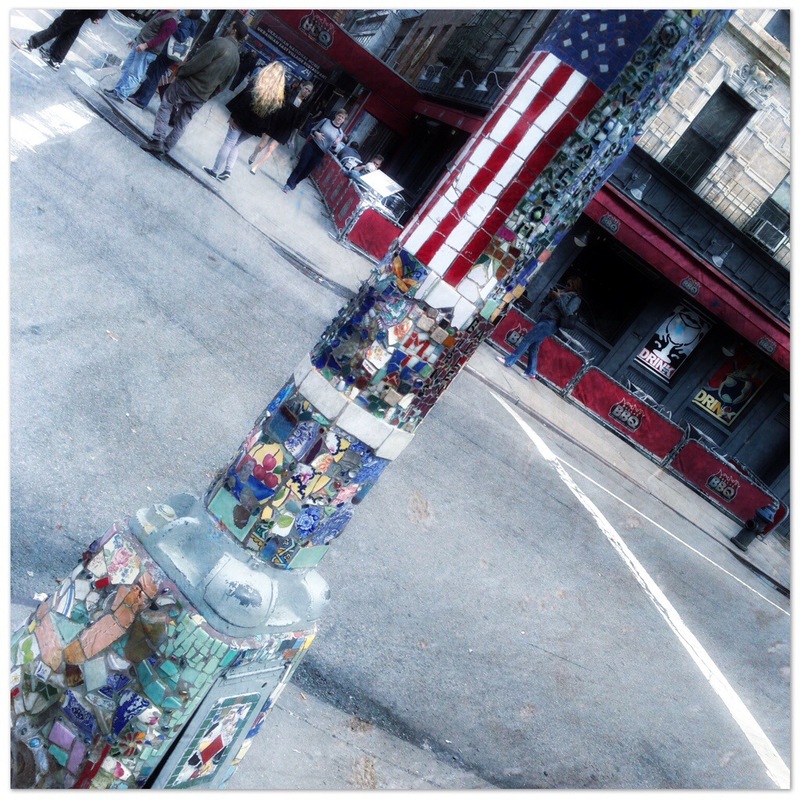 Yummy BBQ right on the corner of St Mark’s Place and 2nd Avenue with great outdoor seating! 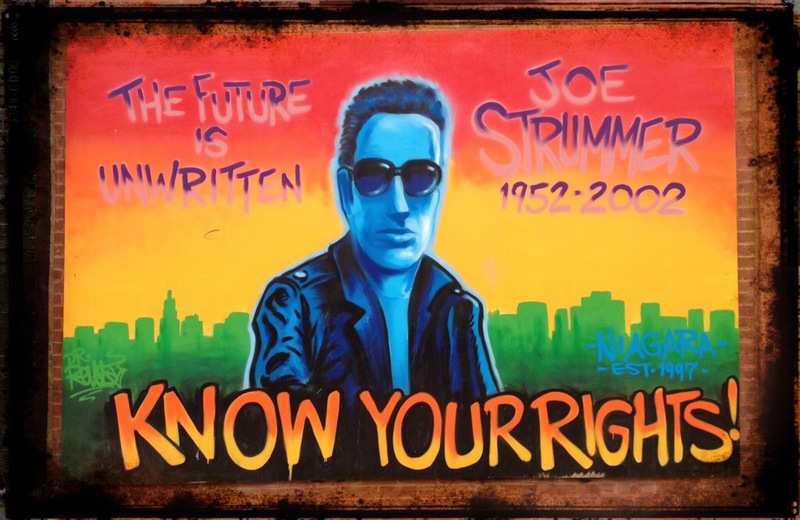 Please feel free to share any places you like to visit while in Park Slope or the East Village in the comments section. Always remember to savor every experience and make every day an adventure! Wow…it’s been a long time since I’ve posted! Since my last post, I’ve made a trip to Salem for Haunted Happenings, attended an epic Pearl Jam show, and decided to go back to school. Preparing for a career change to graphic design has been so far both very rewarding and time consuming, especially while maintaining my full time job. Since my Etsy shop will be on hiatus until graduation, I have decided to shift the focus of my blog to music, travel, and my new adventures in design. On Thursday, I attended the Rock n Roll Hall of Fame Induction Ceremony in Brooklyn. Some of the highlights of the evening for me were Peter Gabriel’s heart-felt performance of “In Your Eyes;” the spectacular tribute to Linda Ronstadt featuring Stevie Nicks, Bonnie Raitt, Emmylou Harris, Sheryl Crow, and Carrie Underwood; and the awesome jammed-out version of “I Can’t Go for That” by my Philly boys, Hall and Oates. 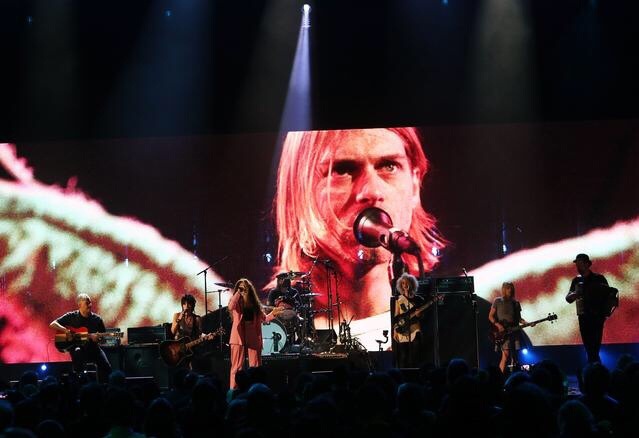 The most meaningful part of the evening for me, as a quintessential Generation X-er, was the induction of one of my favorite bands, Nirvana, just five days after the 20th anniversary of Kurt Cobain’s suicide. 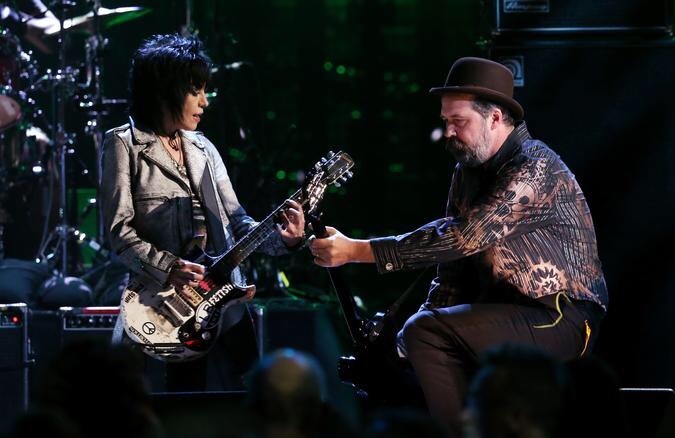 The performance was EPIC, featuring, along with Krist Novoselic on bass and Dave Grohl on drums, four-hard rocking females, led off by the incomparable Joan Jett rocking out on “Smells Like Teen Spirit” and culminating with a hauntingly beautiful performance of “All Apologies” featuring the amazing Lorde. Peace, Love & Rock n Roll! Relaxation is just a way of life down in the Big Easy, and I find the Garden District to be one of the most tranquil parts of the city. 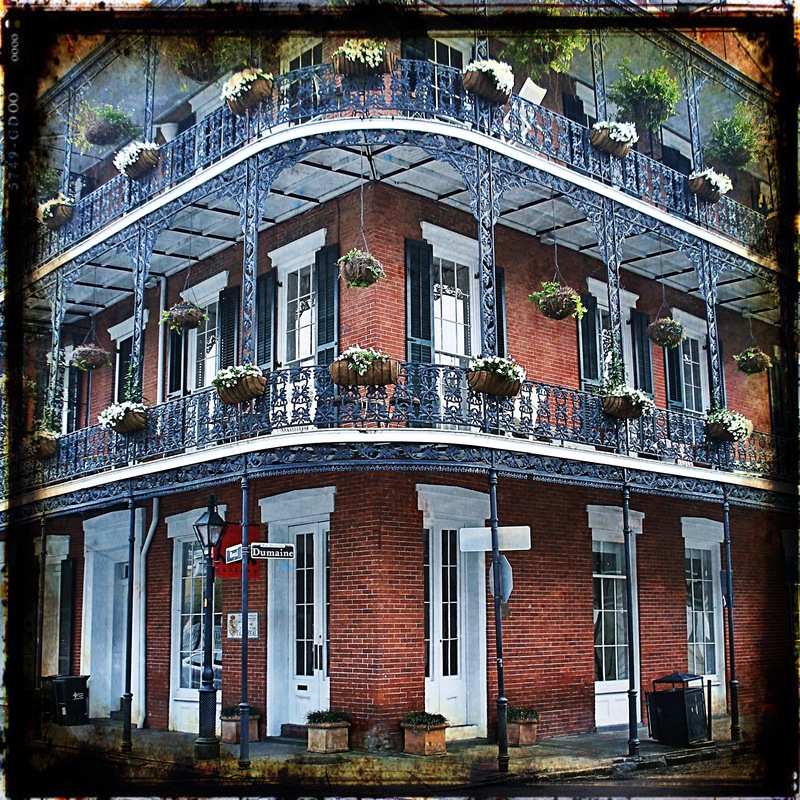 To get there from the French Quarter, head north on Royal Street and cross over Canal Street – Royal becomes St Charles Ave. – and hop on the historic St. Charles Street Car. The most picturesque houses are located between Jackson and Washington Avenues. 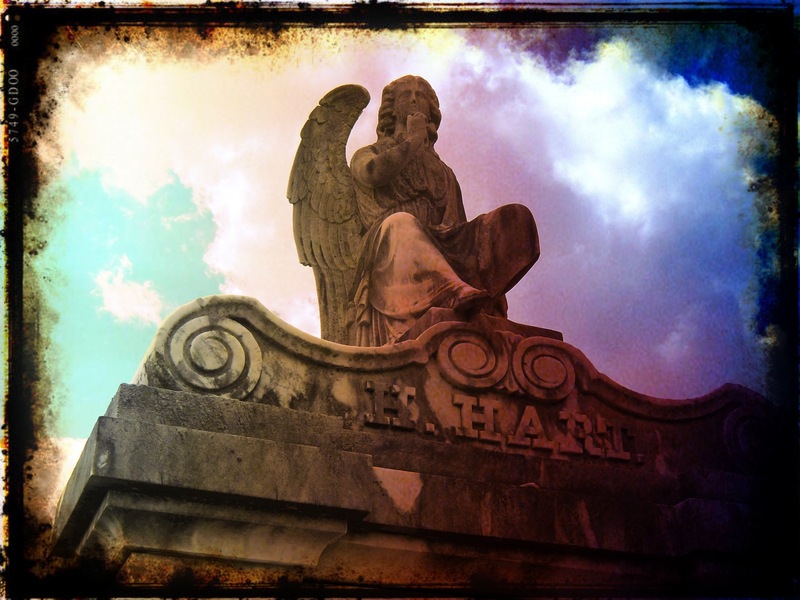 When finished your leisurely stroll, be sure to visit one of NOLA’s Cities of the Dead, Lafayette Cemetery #1, whose entrance is right on Washington Ave. One of the city’s oldest cemeteries, it is also featured in several movies, including Interview With a Vampire and Double Jeopardy. To finish a relaxing afternoon, stroll down Magazine Street for some of New Orleans’ best shopping. 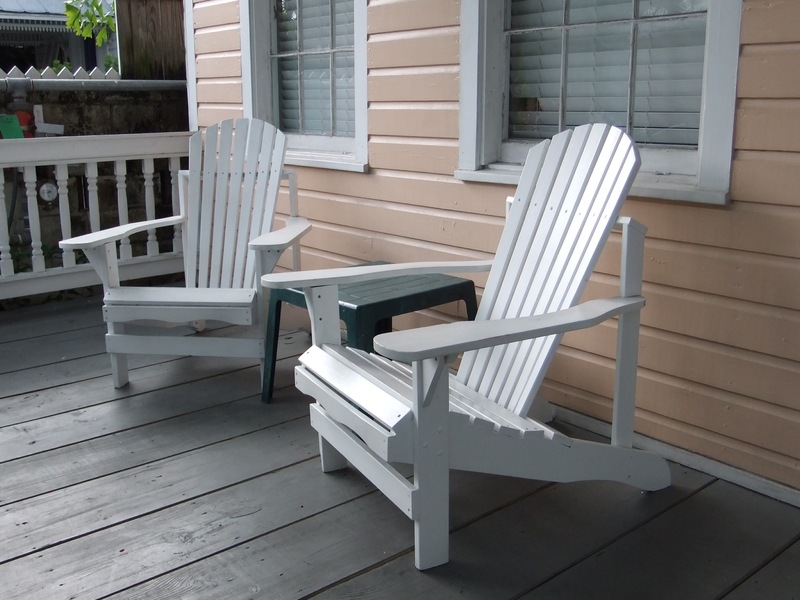 If you are interested in local handicrafts, a great place to shop is Dutch Alley Artist’s Co-Op, on 912 N. Peters Street, just south of the famous Cafe Du Monde in the French Quarter. Another fun place to peruse the work of local artisans is the Frenchmen Art Market, on 619 Frenchmen Street – right next to The Spotted Cat – in the Marigny just south of the French Quarter. It is a wonderful outdoor grassroots evening market and is open Thursday through Saturday from 7 PM to 1 AM and on Sunday from 6 PM to midnight. If you leave New Orleans hungry, shame on you! This city truly has some of the best food. 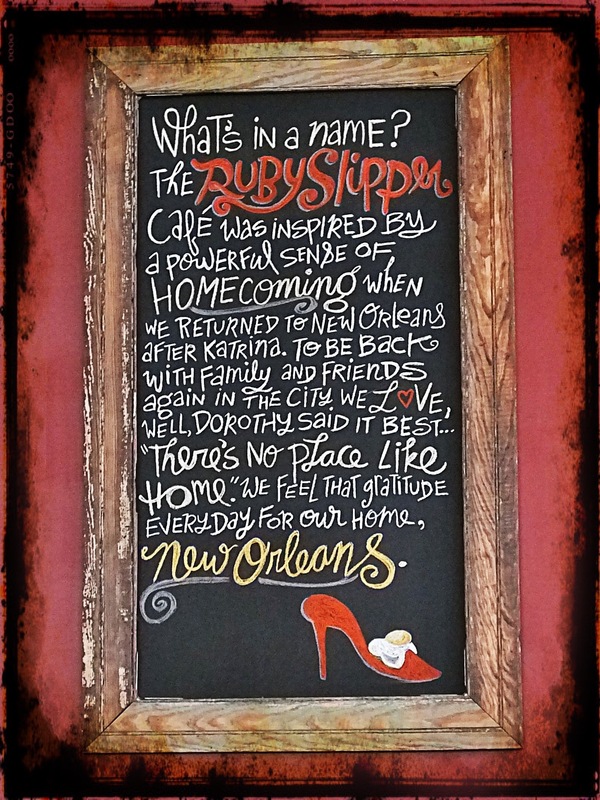 My favorite breakfast spot is The Ruby Slipper Cafe on 200 Magazine Street in the CBD. Their Bananas Foster Pain Perdu is life changing! For dinner, I like Oceana on 739 Conti Street (between Royal and Bourbon) for their Crabcakes and Ralph & Kacoo’s on 519 Toulouse Street (between Decatur and Chartres) for their blackened shrimp. If you happen to be walking by 334 Decatur Street and are completely overcome by the delicious wafting aroma of freshly made caramel, it is pointless to resist. Stop in Southern Candymakers and allow yourself to indulge in the best pralines and turtles the city has to offer! The best place to listen to original music in New Orleans is Frenchmen Street in the very bohemian Marigny section of the city. To get there from the French Quarter, head south on Decatur and you will run right into Frenchmen after you pass Esplanade Ave. This three block stretch of music clubs has a refreshingly mellow vibe and lacks any of the tackiness of Bourbon Street. I really liked both TheSpotted Cat and DBA. 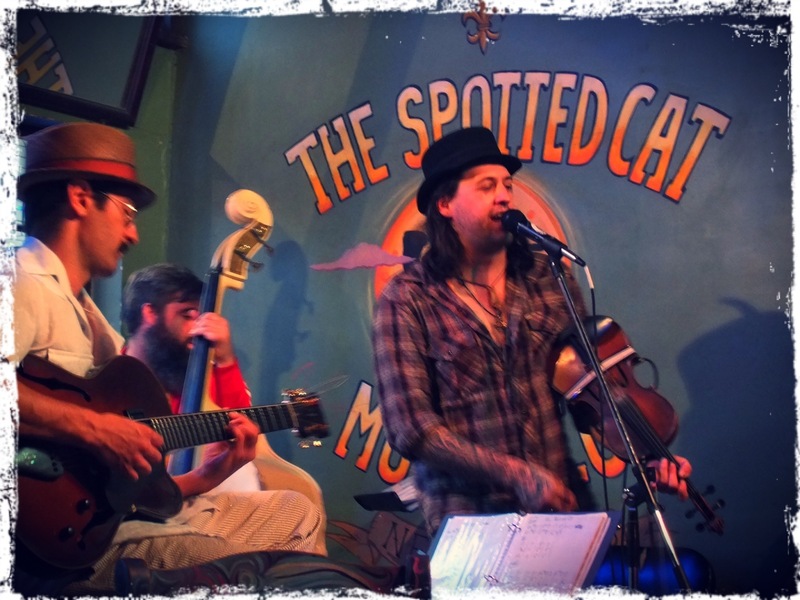 The Spotted Cat, on 623 Frenchmen Street, is an intimate music club that features funky jazz and roots music every night. I enjoyed a fun performance by the newly formed Dr. Sick & the Late Greats and some spontaneous swing dancing by some very talented locals. Shows start nightly at 6 PM and 10 PM. DBA, on 618 Frenchmen Street, is a larger club with a huge beer selection and large stage area, perfect for jamming to the fabulous Treme Brass Band. The best place to take home some local music is The Louisiana Music Factory on 210 Decatur St. They have an extensive collection of local jazz, blues, zydeco, and any other genre you can imagine. The staff is both knowledgable and friendly. I hope you have enjoyed my New Orleans wrap up. 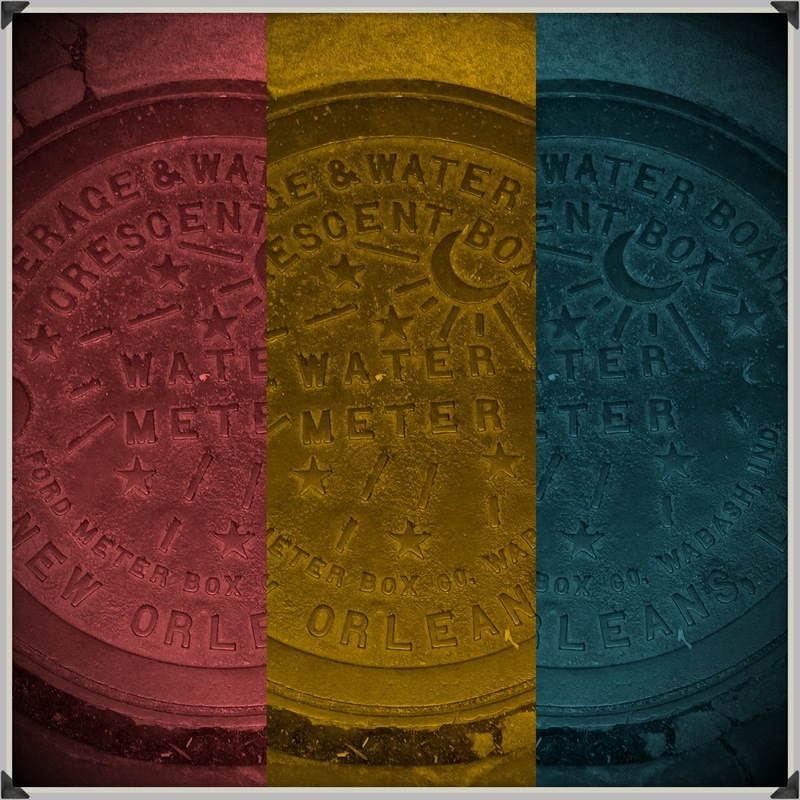 Please feel free to share a comment on anything you particularly love in the Crescent City. Thanks for stopping by! 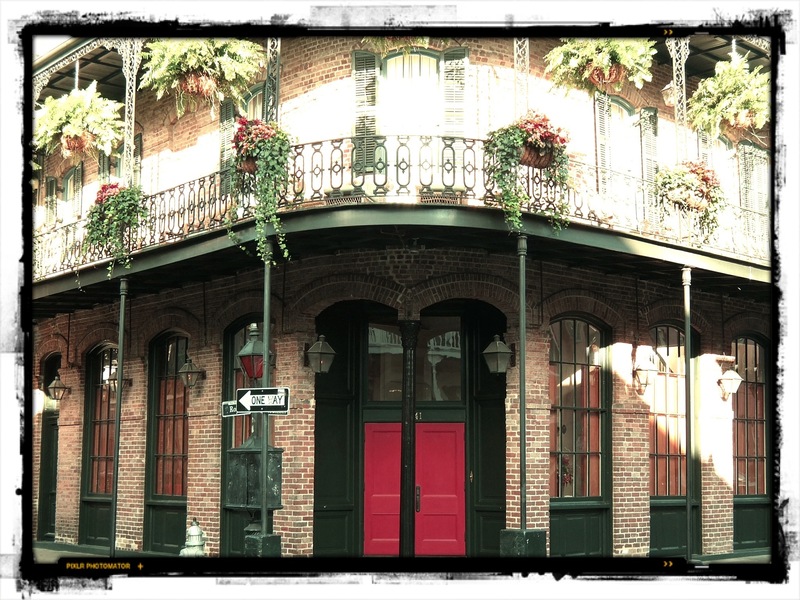 I visited New Orleans for the first time for JazzFest in 2010 and it was an amazing experience! The festival itself is an awesome onslaught of the senses. Thousands of spectators, over a hundred food vendors, and a dozen music stages – blues, gospel, zydeco, rock, and, of course, jazz! 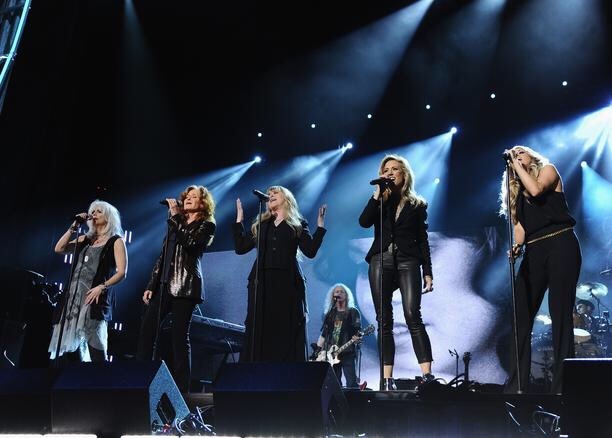 It is definitely an experience any music aficionado should partake in at least once. Beyond the festival, the city was pulsating with its famous incredible energy. 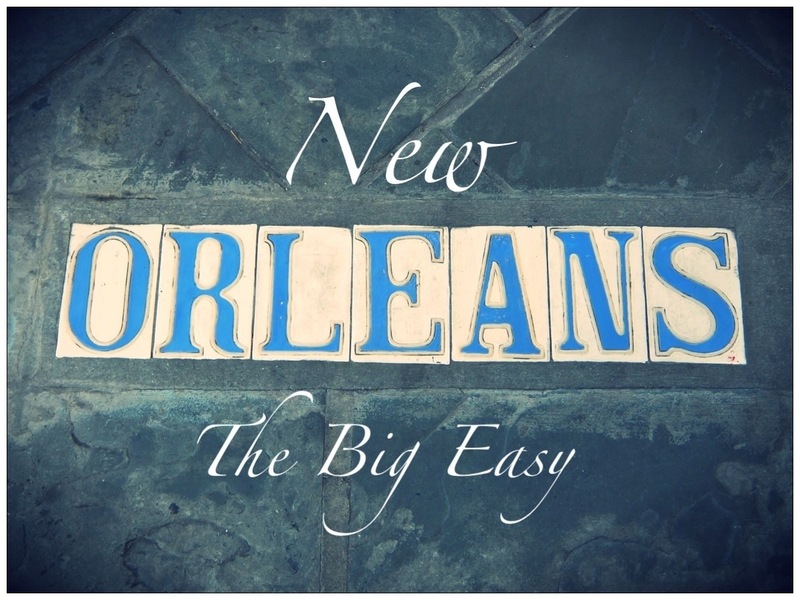 Jazz bands on Royal Street, street artists in Jackson Square, steamboat and horse & carriage rides…with every step, a new level of vibrancy. As much as I enjoyed the crowds and the energy of one of the busiest times to be in New Orleans, I also wanted to return to the city at a quieter time to experience it at a slower pace. 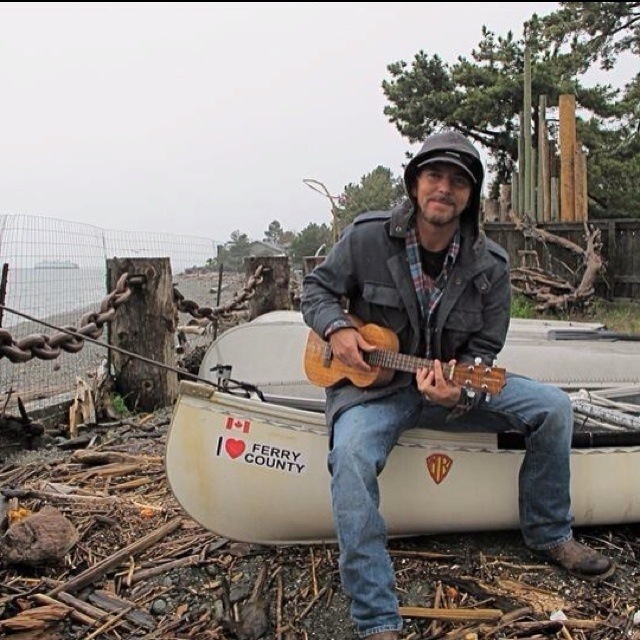 eddie vedder & key west – now that is paradise! Most of my truly great ideas usually begin with Pearl Jam. To say that I am a PJ fan would be a bit of an understatement – I am actually more of a PJ freak. I have been loving their music, seeing their shows, and following them around since Ten was released in 1991. So when Eddie Vedder’s solo tour was postponed from the spring, I decided to ditch the cold NJ weather, and head south to Ft Lauderdale to see rescheduled 11/30 show. I also decided to use the rest of my vacation days to rent a car and drive down to Key West to chill after the concert. I arrived in Ft Lauderdale on Friday morning to balmy & breezy weather. I took a lovely walk along the beach to relax before heading to Eddie’s show. 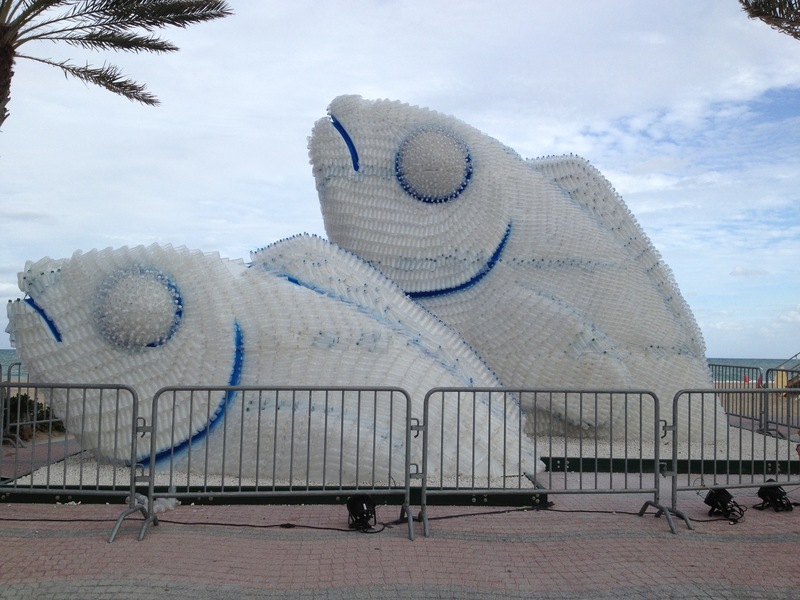 The above photo shows an amazing fish sculpture on Las Olas Blvd & the beach, made completely of plastic water bottles! I wanted to grab a bite before the show. Since it was a Friday evening, most places were packed. With my tummy rumbling, I stumbled upon Squiggy’s NY Style Pizza . It is a run down hole in the wall kinda place right in the middle of the downtown area. Anyone who was born & raised in NJ is very discriminating about pizza, and Squiggy’s did not disappoint. The slices were huge, the crust was thin & crispy, and there was just the right amount of cheese. My friend & I managed to snag the only table in the place (most people either stand & eat at the counter or order to go); open pizza boxes were used as tablecloths! Squiggy’s also serves beer ($3 domestic & $4 import bottles), so we just stayed there talking to the owner & enjoying the colorful cast of characters strolling in for a slice until it was time for the show. Squiggy’s is located at 207 Southwest 2nd Street, near all of the bars. It is also walking distance to the night’s destination, Broward Center for Performing Arts. This is the third time I have seen Eddie’s solo show. 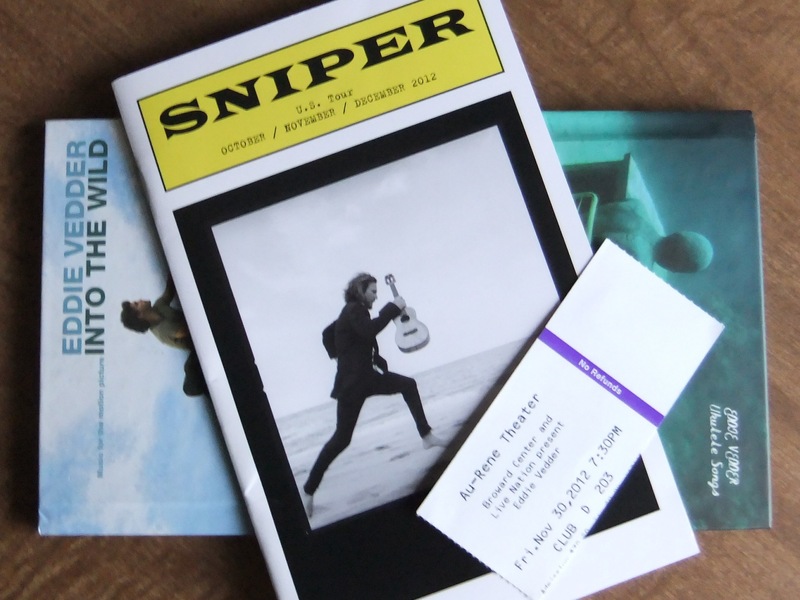 He plays small venues for a more intimate experience (this particular theater seats about 2,800). It is also a very casual affair – there is no backing band – just Eddie with his acoustic guitar, electric guitar, mandolin, or ukulele. This show was 2 hours & 20 minutes of sheer awesomeness! He played several tunes from his Ukulele Songs CD, including Tonight You Belong to Me – a sweet duet with special guest Chan Marshall. He also jammed on several songs with Glen Hansard – my favorite was Society from his Into the Wild CD. He played just about every other song from that amazing soundtrack, including his finale of Hard Sun. The set list also included Better Days (from Eat, Pray, Love), the Beatles’ You’ve Got to Hide Your Love Away (from I Am Sam), and Neil Young’s Rockin’ in the Free World. the night would not be complete without any PJ tunes. Eddie played acoustic versions of Just Breathe & Unthought Known from Backspacer, I am Mine, and the already raw Elderly Woman Behind the Counter in a Small Town. While I am hard pressed to pick my favorite moment of this incredible show, I have declared it a tie between a hauntingly beautiful version of Betterman performed on his mandolin, and an acoustic version of Porch from Ten. The energy of both the crowd and Eddie was just as intense during this stripped down version as it is during a PJ arena show. All in all, a completely amazing experience, and a perfect way to begin a vacation! Hit the road early the next morning, taking Route 1 South from Ft Lauderdale all the way to Mile Marker 0. 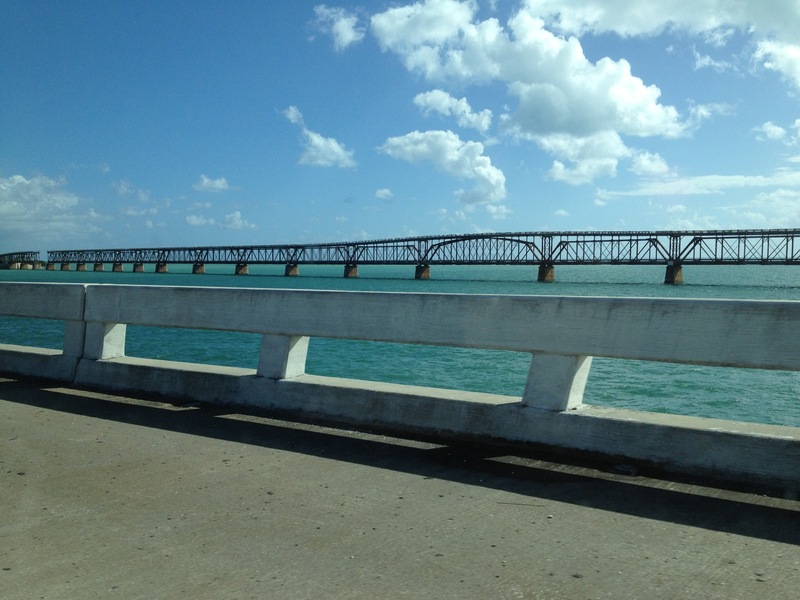 Once you hit the Keys, Route 1 becomes the Overseas Highway, and the ride turns very scenic: classic Florida kitsch and the expanse of beautiful blue waters. Stopped off at Bob’s Bunz (Mile Marker 81 on Isla Morada) for breakfast. The portions were generous, the prices were reasonable, and the onsite bakery was scrumptious! Sunset Celebration at Mallory Square is a must do! Experience the lively performers – jugglers, flame throwers, street musicians, etc – and shop the local vendors for one of a kind souvenirs. 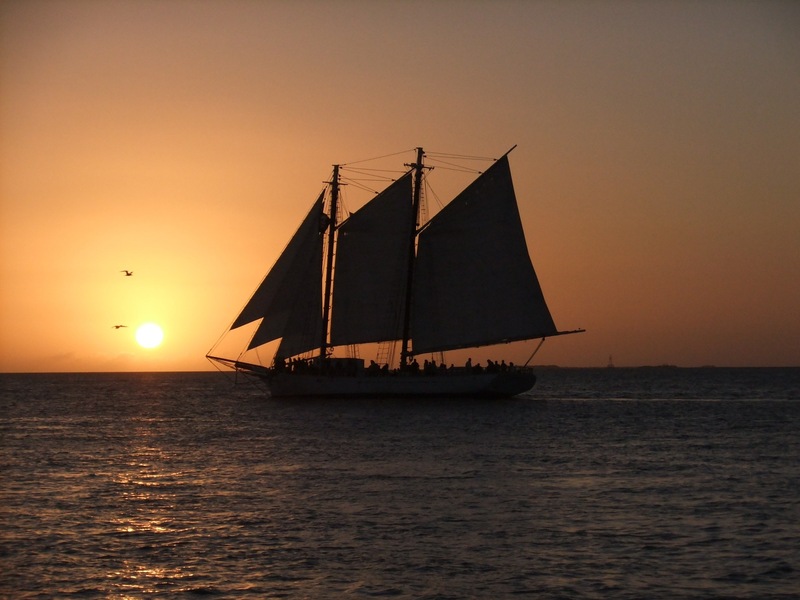 And, of course, stick around for the famous Key West sunset! After, dine on fresh seafood and wash it all down with a cool beer. Since this is Key West, there are many, many choices. 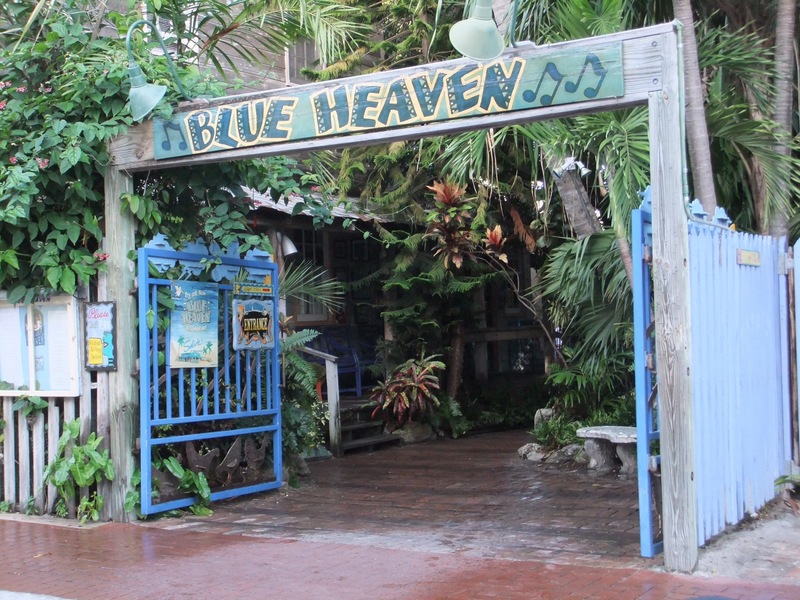 My favorite meal in Key West was at Blue Heaven (729 Thomas Street in Bahama Village). The place truly lives up to the hype. I opted to go for lunch during the week to avoid the long lines. Other places I recommend to eat include: Six-Toed Cat (823 Whitehead Street – near Hemingway House) for a hearty breakfast or lunch and Old Town Mexican Cafe (609 Duval Street) for its shrimp & crab burrito and $12 domestic beer buckets. 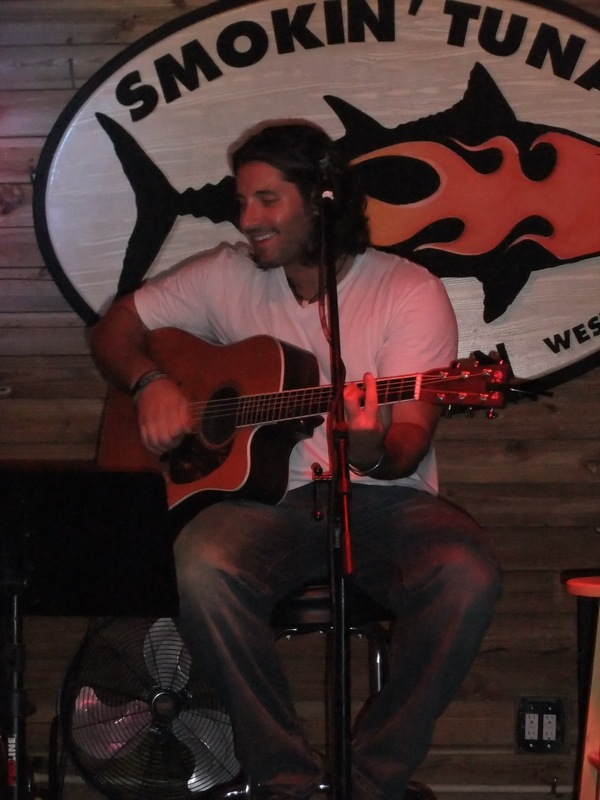 If you are in Key West, you must go to Smokin’ Tuna Saloon (4 Charles Street – just off Duval) and see Rusty Lemmons. The crowd at the Tuna is more mellow than the typical Duval scene and the music mix ranges more towards blues, southern rock, classic rock, and alternative country than pop. I had the pleasure of getting acquainted with Rusty while I was in Key West, and not only is he an outstanding performer and talented musician/singer/songwriter, but he is also a warm, friendly, genuine person. He brings such soul to his set, whether he is playing If I Had a Boat by Lyle Lovett, Up On Cripple Creek by The Band, or one of his original songs. The bright turquoise flower ring at the top of the photo is made from leather and only cost $5 at Toko Indo (513 Duval Street.) This is a great little boutique with fun finds from my favorite place on the planet, Bali. The sterling silver & blue opal crab pendant is from Local Color (425 Green Street.) The selection of sterling jewelry here is vast, the prices are fair, and the service is friendly without being pushy. 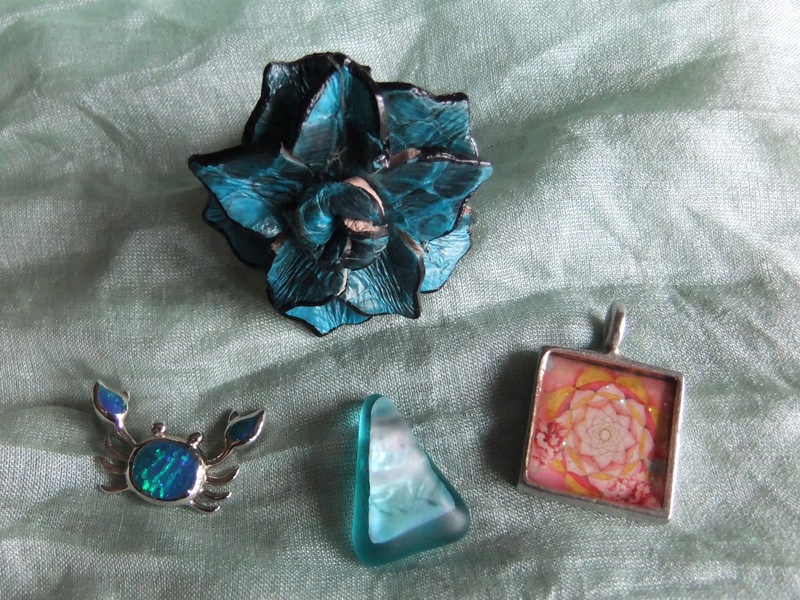 The luminous teal fused glass pendant is a one of a kind find from a vendor at Mallory Square. The last pendant, a beautiful pink and yellow mandala, was purchased from my favorite boutique in Key West, Wanderlust (310 Petronia Street.) 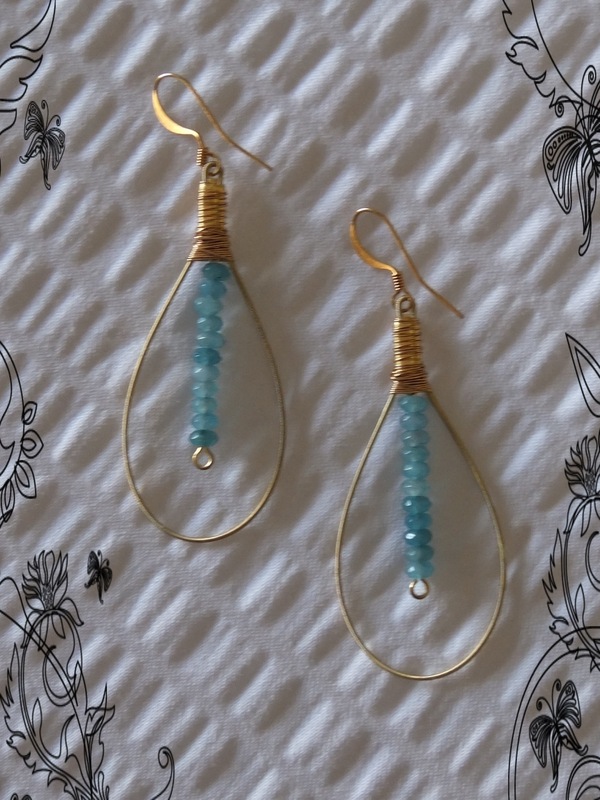 All jewelry is locally made, and all clothing and other fashion accessories are from up & coming indie designers. Definitely check it out next time you are in Key West. Peace, Love & Pearl Jam!